“The dam debate in our country is largely a demonstration of how our education system has failed an entire generation”. Over the past two weeks I have had the surreal experience of being trolled on social media. Never happened before, as out of a hundred and something followers that I have on Twitter — most are friends and family. But then I wrote my previous piece on Bhasha and the flood gates opened. I have to admit that it was somewhat, gratifying — as the old Punjabi joke punchline goes — aj sadhe tevhisha khoya hai (today I too am under suspicion [of promiscuity]). Reasonable people can disagree on policy choices. More so in the water sector, where I have often maintained that no one is an expert, everyone only a student, given its complexity. Nevertheless, I was somewhat depressed by the reasoning thrown at me against my modest propositions that dams are a high risk proposition in seismically active zones; that Gilgit Baltistan is a highly active seismic zone; that Pakistani engineers are aware of the risks; and given the cost and risks of the project it may not be feasible. I had thought no one would read or care about stating such obvious well known realities. But how wrong I was. What was most depressing was that people thought it newsworthy that Northern Areas of Pakistan are in a seismically active zone. I suspect that if Geography had been a school subject instead of Pakistan studies, people would almost certainly have yawned at my article. The reaction would have been more ‘like — seriously? You need a PhD to know that plate boundaries are seismically active, or that northern Pakistan is on a plate boundary?’ But I had respected journalists ask me if the Diamer-Bhasha dam site is really seismically active. Most of the criticism coming my way was from a Pakistan studies perspective. For example, a respected journalist said that the article was written at India’s behest. As an aside if geology too follows Indian dictates, then we better make friends with our God like neighbours in a hurry. It turns out that some strategist by the name of Brahma Chellaney in the ‘Hindustan Times’ argued that India should dump the Indus Waters Treaty and divert all the rivers towards India. Clearly this gentleman, like the Pakistani water experts who pounced on me, has never looked at a physical map of South Asia. Like their Pakistani counter parts, Indian patriots, strategists and ‘water experts’ have never really looked at the physical map of the Indus basin or they wouldn’t be spewing such utter geographical nonsense. Neither do the Indian or Pakistani water experts have any notion of the surface groundwater dynamics. They are ignorant of how river basins are much more dynamic interlinked systems than the water establishments’ simplistic network maps would reveal. Those network maps make rivers look like pipes in a domestic plumbing system. Only if water was that compliant and simple. The dam debate in our country is largely a demonstration of how our educational system has failed an entire generation. My father would at times jokingly recite how he used to rote learn the names of all the peaks in the PirPanjal range of Kashmir in elementary school. Imitating his lessons as a joke, I too can recite all the major peaks in the PirPanjal. If only the post 1970s generation knew of the mountains, basic principles of geomorphology, geology and landforms, they wouldn’t be so dogmatic about dams as the only solution. Knowledge of geography probably would not have made them against dams, but at least I would know where to begin a discussion on water in Pakistan. As it is, in a geographically illiterate society, I don’t even know where to begin. I end up having to recall and recite my ninth grade geography lessons in any discussion on water in Pakistan. Pakistan’s water problems are complex and multifaceted. 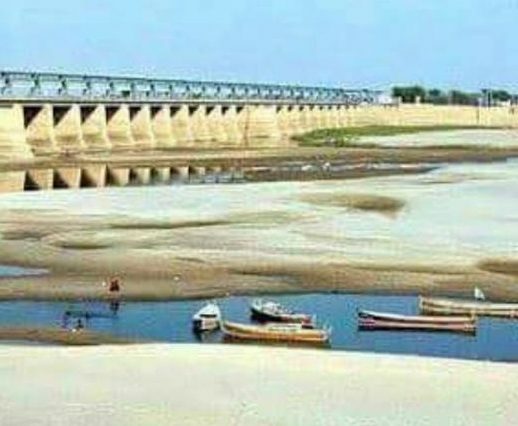 Dams are one tool [a very expensive one] in a varied tool kit that water managers have to tackle Pakistan’s water problems. Also, I have written before that Pakistan’s water crises is a lot more acute than people think. The climate change future once envisioned is the past and the present for the vast majority of Pakistanis. In this situation, nationalistic posturing is not going to help. I give the analogy that if one wants to go from Pindi to Lahore, one could go by bus, car, train, airplane, by foot or horse etc. To suggest that any one proposing to go by any other way besides an airplane is a traitor, or an Indian agent is just madness. Everyone in Pakistan should get adequate water and there should be enough for our agriculture. Whether that water comes from dams or groundwater is not relevant. A geographically educated population would know that. Bring back geography in schools — please!